Draft: 2012, Toronto Blue Jays, 15th rd. Ryan Joseph Borucki ... Attended Mundelein High School in his hometown of Mundelein, Illinois ... Ranked 12th on Major League Baseball's Top 30 Blue Jays prospects list and ranked as Toronto's 10th-best prospect by Baseball America entering 2018 ... Participated in the 2019 Blue Jays Winter Tour. Made 11 starts of at least 6.0 innings while giving up two-or-fewer runs... Had 11 quality starts to lead all AL rookies and tie Marco Estrada for the most on the team... Had the most quality starts in a season by a Blue Jays rookie since Marcus Stroman had 14 in 2014 ... His 3.87 ERA ranked 6th best all-time by a Blue Jays rookie (min. 12 starts) ... Finished the season with a 2.64 ERA (13 ER/33.1 IP) at home and a 4.89 ERA (29 ER/53.1 IP) on the road ... Went 6-5 with a 3.27 ERA over 13 starts for Triple-A Buffalo ... Made four starts of 7.0 innings for the Bisons (including each of his last two outings) and allowed runs in just one of those games ... Earned his 1st Triple-A win on April 25 at Durham (6.0 IP, 5H, 1ER, 3BB, 5K) ... Earned the win in his last start for the Bisons, throwing 7.0 scoreless innings for a complete game shutout in Game 1 of a doubleheader on June 19 at Pawtucket (3H, 1BB, 4K) ... Made his MLB debut on June 26 vs. HOU...Became the 44th player in club history to make his MLB debut as a starting pitcher (last: Chris Rowley on Aug. 12, 2017 vs. PIT)... Allowed two runs on six hits over 6.0 IP (4BB, 3K)... It was the 15th quality start by a Jays pitcher in an MLB debut and the first since Zach Stewart in 2011 ... Gave up a run on four singles in the 1st inning and then retired the next 13 batters he faced on July 2 vs. DET…Recorded eight strikeouts without a walk…The eight Ks tied Roy Halladay (Sept. 27, 1998 vs. DET) for the most by a Blue Jay in his MLB home debut…Joined Halladay (Sept. 27, 1998 vs. DET) as the only pitchers in team history with an 8-SO and 0-BB performance within their first two MLB games ... Allowed one run over 7.0 innings (1BB, 5K) on July 8 vs. NYY…Joined Ricky Romero (2009) as the only pitchers in team history to throw 6+ innings while allowing 2ER-or-less in each of his first three MLB starts…Had 16 strikeouts through his first three MLB starts, tying Marc Rzepczynski (2009) for 2nd most by a Blue Jays pitcher in his first three MLB games (Jerry Garvin - 18 in 1977) ... Received a no-decision on July 13 vs. BOS as he allowed a career-high seven runs (8H, 4ER, 4BB, 5K) ... Was optioned to Triple-A Buffalo on July 14 and recalled on July 24 ... Took the loss on July 24 vs. MIN when he allowed two runs (both unearned) on six hits over 6.0 innings, making it the 1st 0ER outing of his career... Did not walk a batter for the 2nd time ... On July 29 at CWS, an hour from his hometown of Mundelein, had over 200 family and friends on hand as he tossed 6.0 innings and allowed just two unearned runs ... Earned his 1st win on Aug. 3 at SEA after recording a career-long 8.0 IP and gave up just one unearned run on four hits (2K, 0BB)...Held a 2.30 ERA (11 ER/43.0 IP) through seven starts, the best all-time among Blue Jays starters in his first seven MLB games (Gustavo Chacin - 2.51, Juan Guzman - 2.75)…Had 30 strikeouts through his first seven starts, tied for 5th most in team history...Had one-or-fewer runs of support in five of his first seven starts ... Earned his 2nd win on Aug. 9 vs. BOS while giving up four runs and allowing a career-high nine hits over 5.0 innings (3BB, 2K)…Had his homerless streak come to an end at 47.1 innings, tied for the 3rd longest all-time by a Blue Jay to start their career...Six of his first eight starts were quality starts ... Tossed his shortest outing of the year on Aug. 19 at NYY, lasting 0.2 IP while giving up 6ER, including his 1st grand slam... Was the shortest non-injury shortened start by a Blue Jays pitcher since Francisco Liriano on April 7, 2017 at TB (0.1 IP) ... Made his 1st interleague start on Aug. 24 vs. PHI and earned his 3rd win while allowing 2ER over 6.1IP (7H, 1BB, 5K) ... Took a no-decision on Sept. 11 at BOS where he held the Red Sox scoreless through six innings prior to allowing two baserunners in the 7th (6.1 IP, 3H, 2R, 2BB, 5K) ... Earned his 4th win on Sept. 17 at BAL after tossing 8.0 shutout innings (1BB, 7K)... Tied his career-long outing (Aug. 3 at SEA)... Tied his personal best by allowing just three hits ... Allowed three-or-less hits in four straight starts from Sept. 4-23 to tie a Blue Jays record (Juan Guzman in 1991, Roger Clemens in 1998, Marco Estrada in 2015) ... Made his 17th and final start on Sept. 29 at TB...Allowed four runs on seven hits over 6.2 IP (3BB, 3K) ... Posted a September ERA of 2.65 (10 ER/34.0 IP) with an opponents' average of .165, which was 4th best among AL starters. Assigned to the Advanced-A Dunedin Blue Jays for the start of the 2017 season ... Pitched in 19 games (18 starts) for Dunedin, going 6-5 with a 3.58 ERA and 109 strikeouts over 98.0 innings ... Was promoted to Double-A New Hampshire on July 20 ... Made his AA debut on July 23 at Trenton, throwing seven scoreless innings while allowing just two hits (2BB, 4K) ... After seven starts with the Fisher Cats (2-3, 1.94 ERA) was promoted to Triple-A Buffalo on Aug. 29 ... Made one start for the Bisons, taking the mound on Aug. 31 vs. Pawtucket, striking out six batters over six scoreless innings while allowing six hits and one walk ... At the end of the season, was named an Organizational All-Star by MiLB.com ... Was added to Toronto's 40-man roster after the season to protect him from the Rule 5 Draft. Assigned to the Advanced-A Dunedin Blue Jays to open the 2016 minor league season...Struggled with Dunedin, posting a 14.40 ERA through six starts before being assigned to the Class A Lansing Lugnuts...With the Lugnuts made 20 starts and posted a 10-4 record, 2.41 ERA, and 107 strikeouts..Was added to Toronto's 40-man roster after the season to protect him from the Rule 5 draft...Held RH hitters to a .158 average at New Hampshire and Buffalo combined...LH hitters batted .310. April 15, 2019 Toronto Blue Jays transferred LHP Ryan Borucki from the 10-day injured list to the 60-day injured list. Left elbow soreness. March 28, 2019 Toronto Blue Jays placed LHP Ryan Borucki on the 10-day injured list retroactive to March 25, 2019. Left elbow soreness. July 24, 2018 Toronto Blue Jays recalled LHP Ryan Borucki from Buffalo Bisons. July 14, 2018 Toronto Blue Jays optioned LHP Ryan Borucki to Buffalo Bisons. June 26, 2018 Toronto Blue Jays recalled Ryan Borucki from Buffalo Bisons. March 11, 2018 Toronto Blue Jays optioned LHP Ryan Borucki to Buffalo Bisons. October 2, 2017 Toronto Blue Jays recalled LHP Ryan Borucki from Buffalo Bisons. August 29, 2017 LHP Ryan Borucki assigned to Buffalo Bisons from New Hampshire Fisher Cats. July 20, 2017 LHP Ryan Borucki assigned to New Hampshire Fisher Cats from Dunedin Blue Jays. April 27, 2017 Dunedin Blue Jays activated LHP Ryan Borucki from the 7-day disabled list. April 20, 2017 Dunedin Blue Jays placed LHP Ryan Borucki on the 7-day disabled list. March 14, 2017 Toronto Blue Jays optioned LHP Ryan Borucki to Dunedin Blue Jays. November 18, 2016 Toronto Blue Jays selected the contract of Ryan Borucki from Lansing Lugnuts. May 10, 2016 LHP Ryan Borucki assigned to Lansing Lugnuts from Dunedin Blue Jays. April 4, 2016 LHP Ryan Borucki assigned to Dunedin Blue Jays from Vancouver Canadians. July 9, 2015 LHP Ryan Borucki assigned to Vancouver Canadians from GCL Blue Jays. July 7, 2015 LHP Ryan Borucki assigned to GCL Blue Jays from Vancouver Canadians. June 18, 2015 Vancouver Canadians placed LHP Ryan Borucki on the 7-day disabled list. July 29, 2014 LHP Ryan Borucki assigned to Vancouver Canadians from Bluefield Blue Jays. June 17, 2014 LHP Ryan Borucki assigned to Bluefield Blue Jays from GCL Blue Jays. September 23, 2013 GCL Blue Jays activated LHP Ryan Borucki from the 60-day disabled list. June 21, 2013 GCL Blue Jays placed LHP Ryan Borucki on the 60-day disabled list. July 30, 2012 LHP Ryan Borucki assigned to GCL Blue Jays from Bluefield Blue Jays. 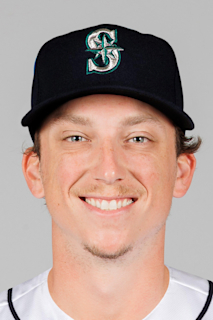 July 25, 2012 Ryan Borucki assigned to Bluefield Blue Jays. July 10, 2012 Toronto Blue Jays signed LHP Ryan Borucki.